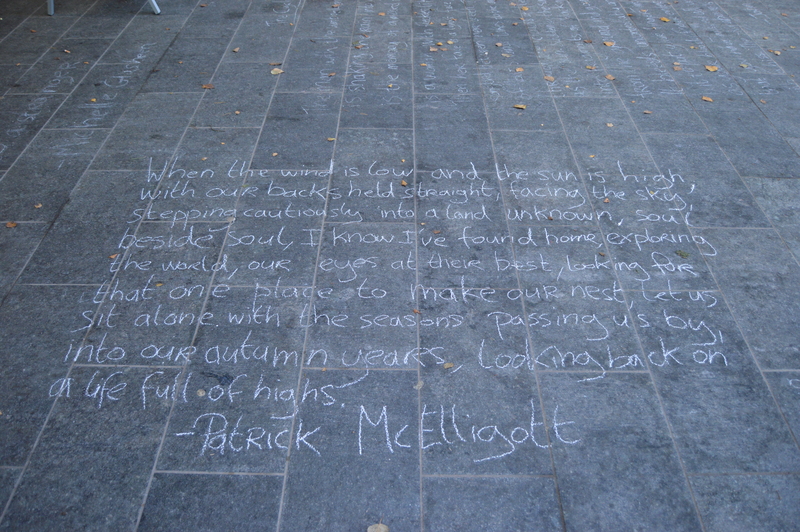 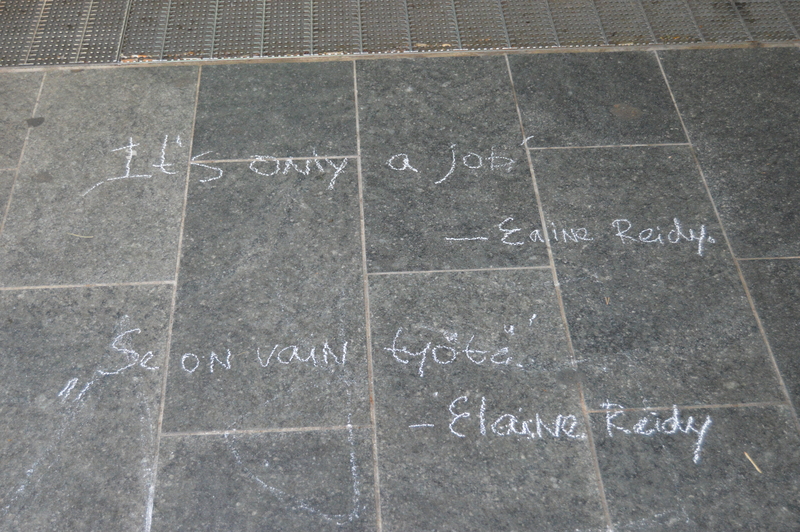 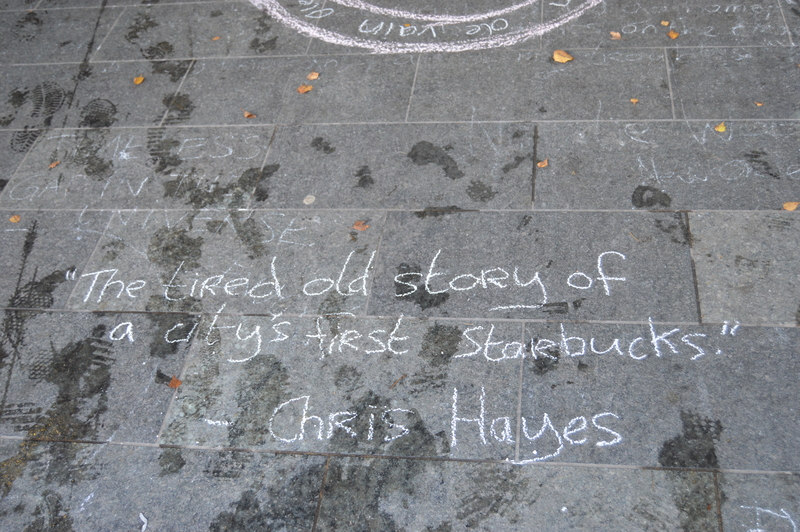 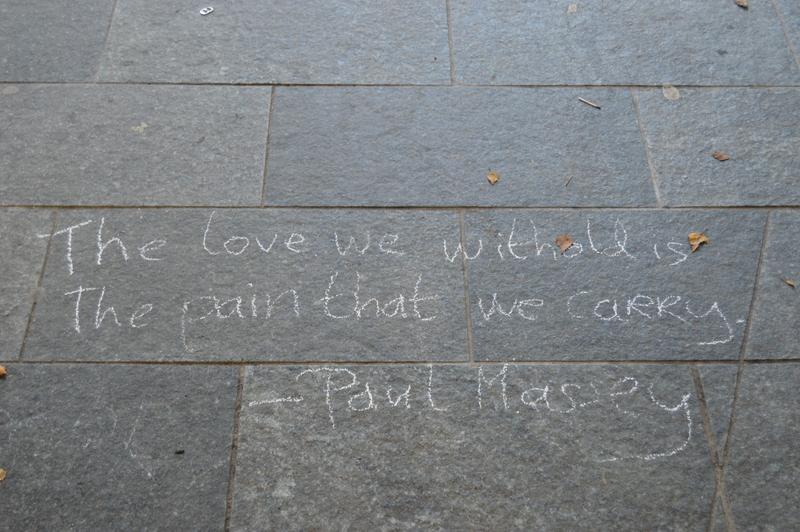 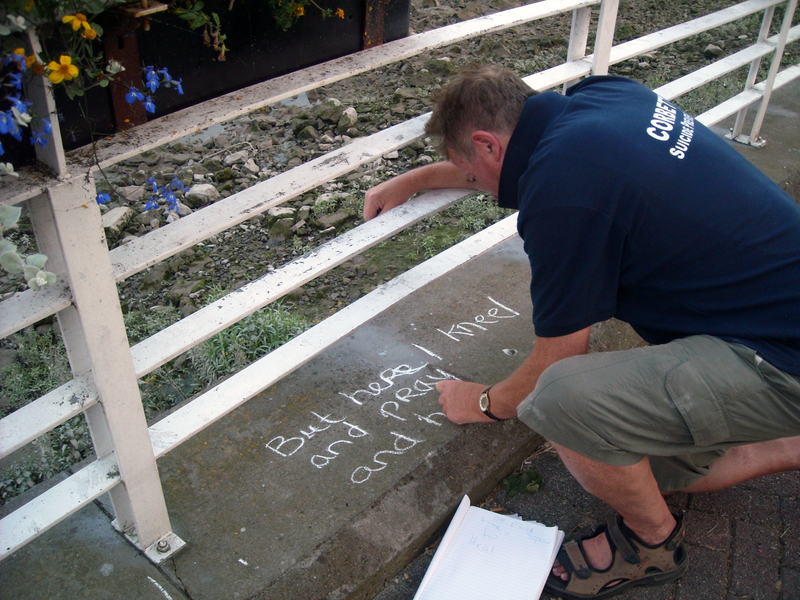 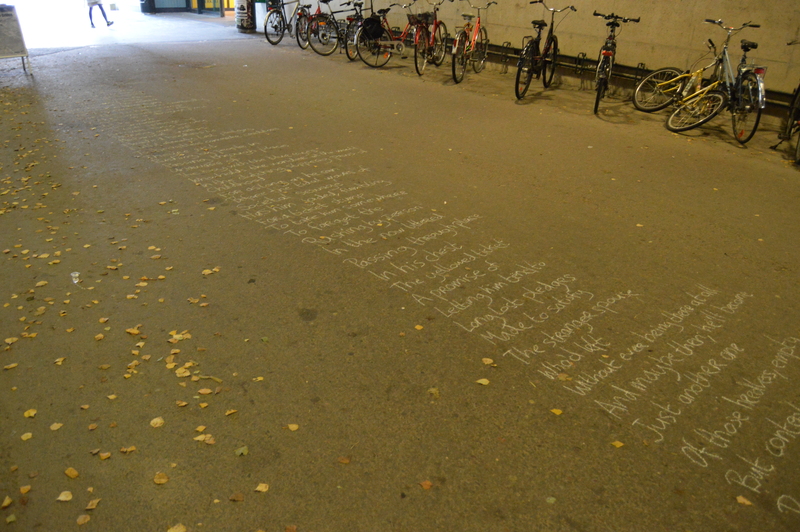 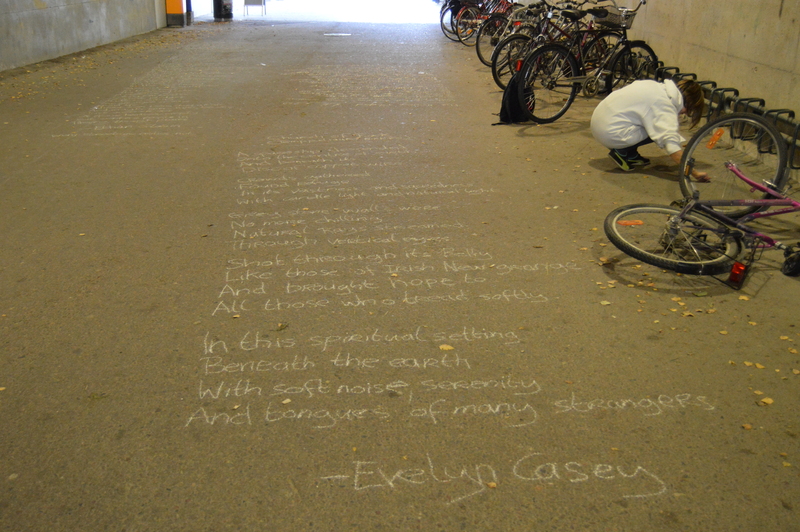 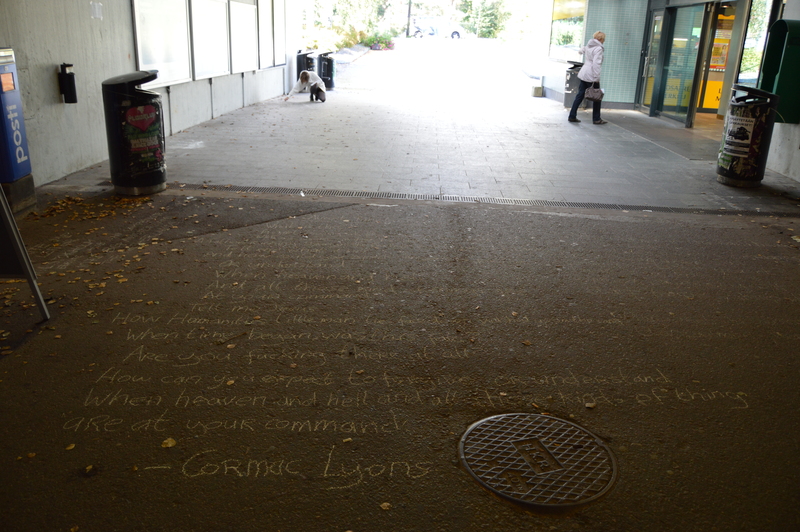 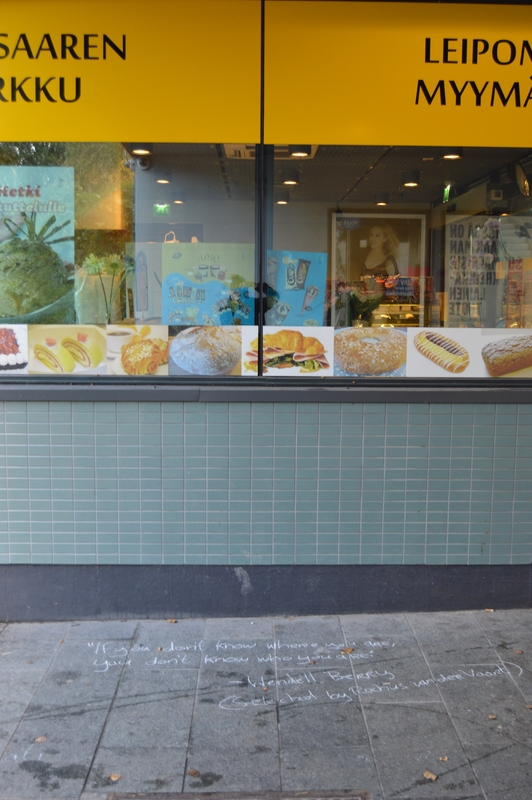 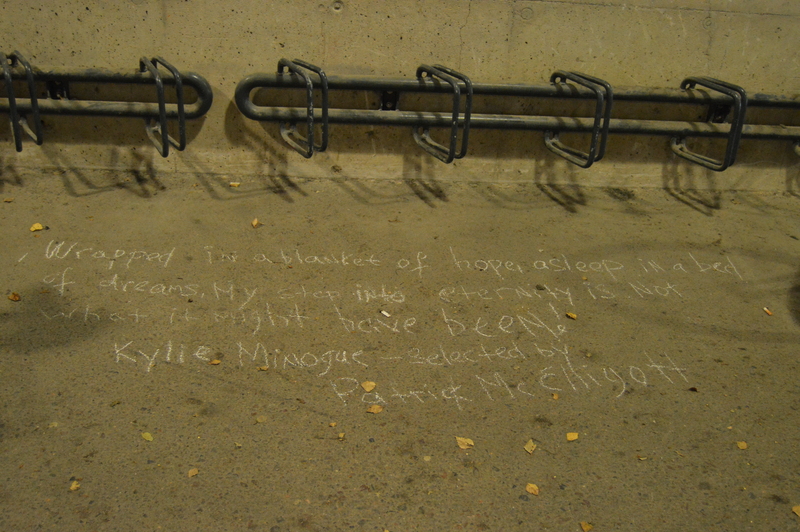 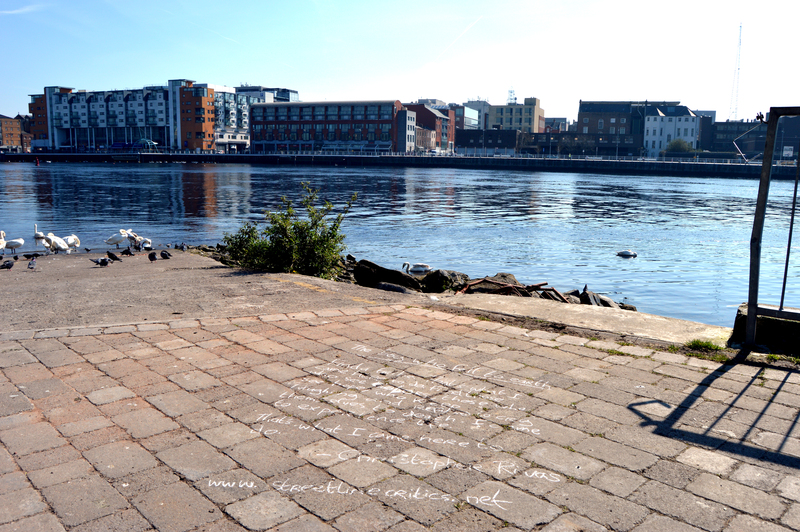 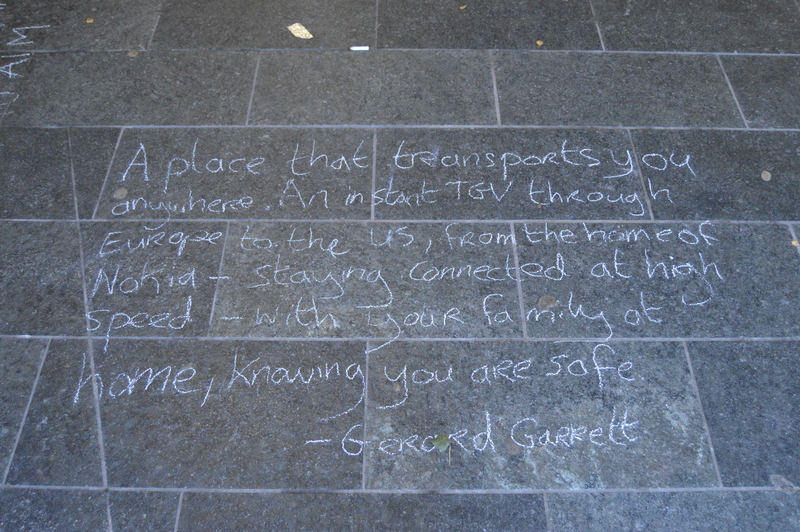 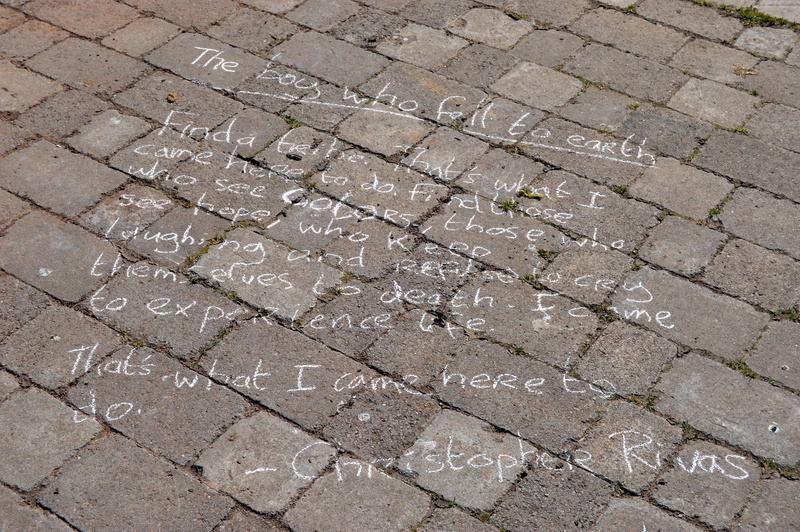 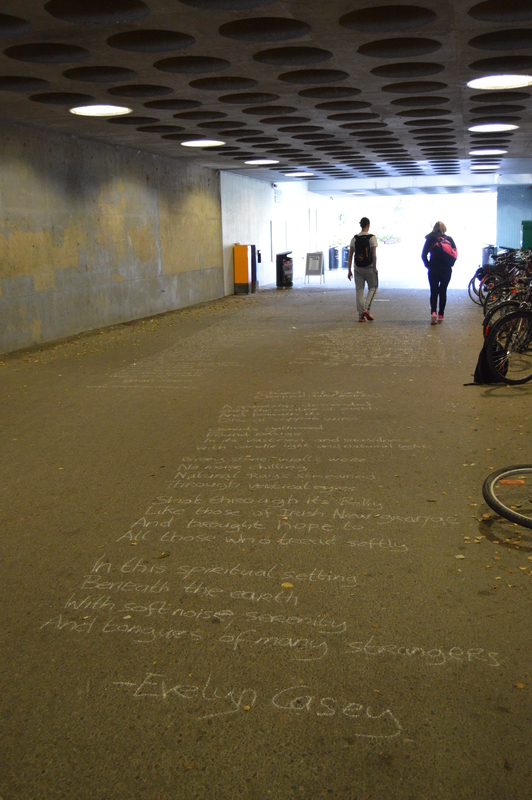 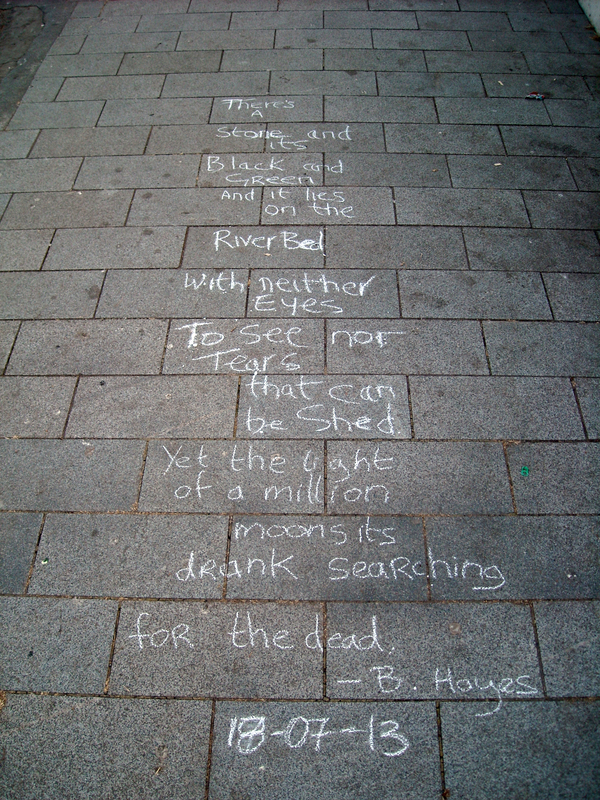 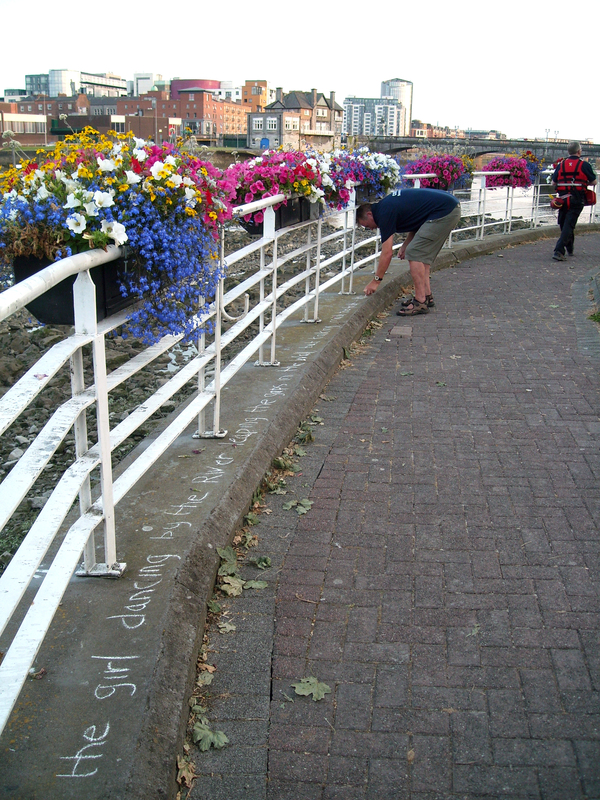 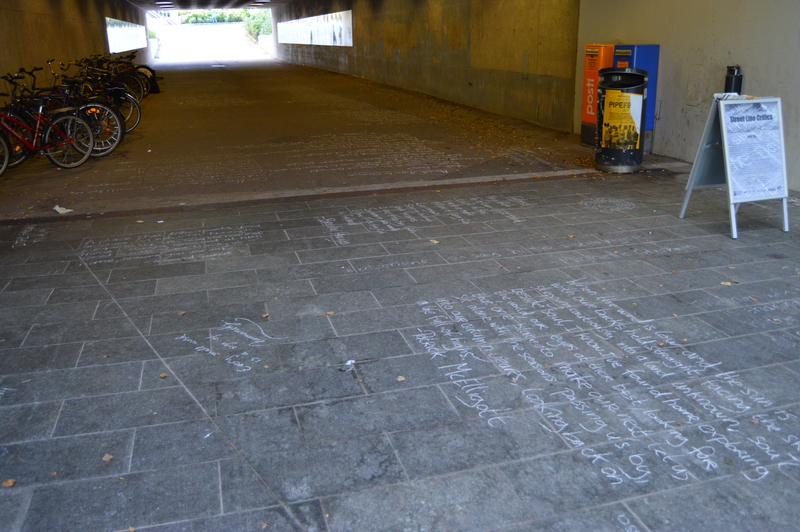 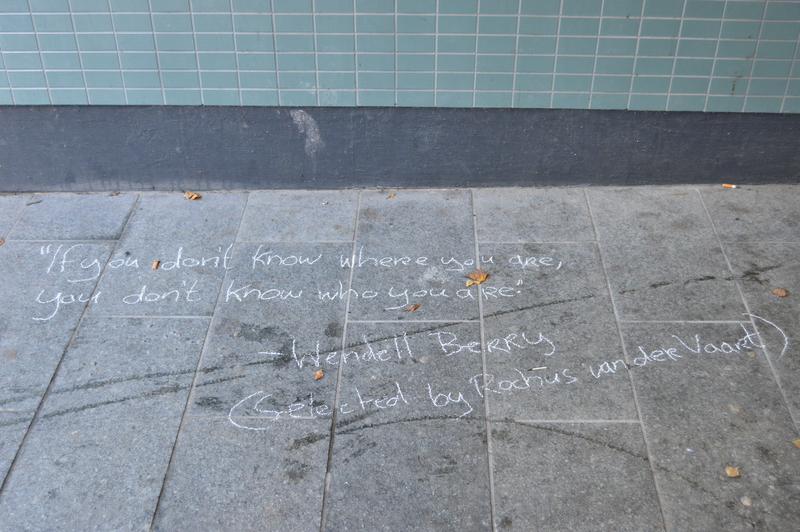 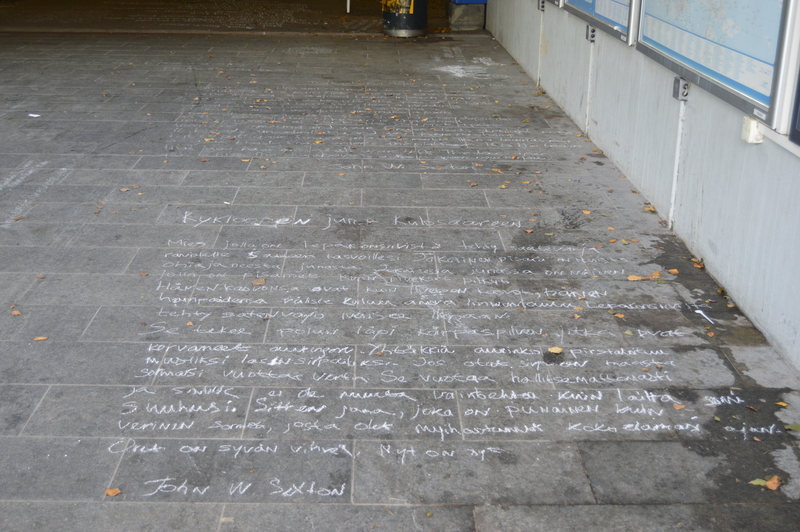 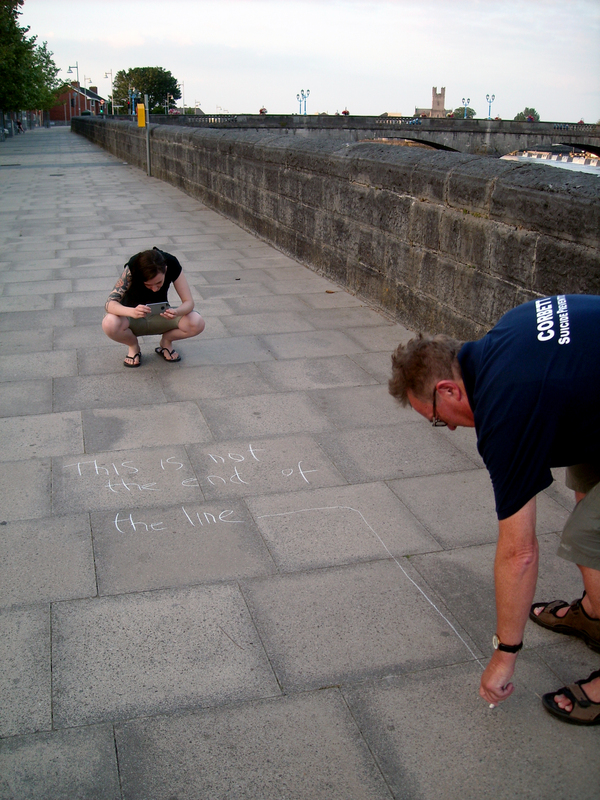 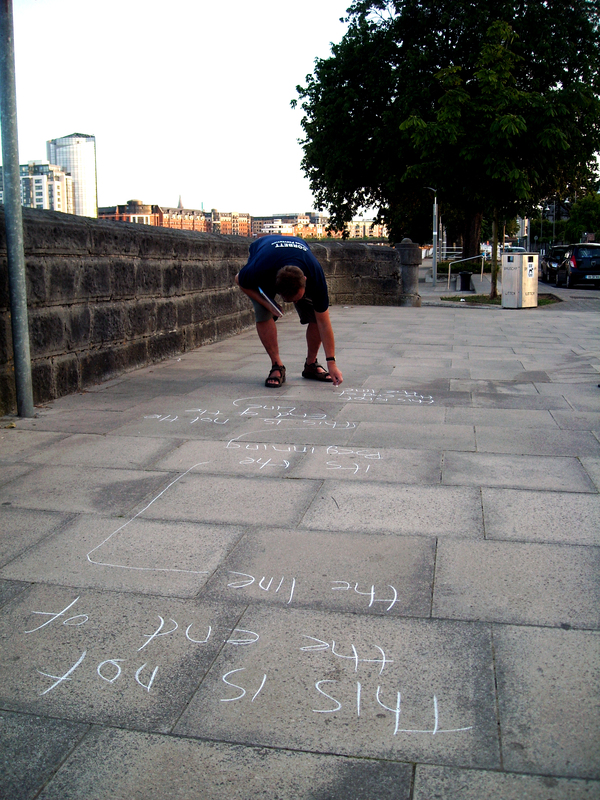 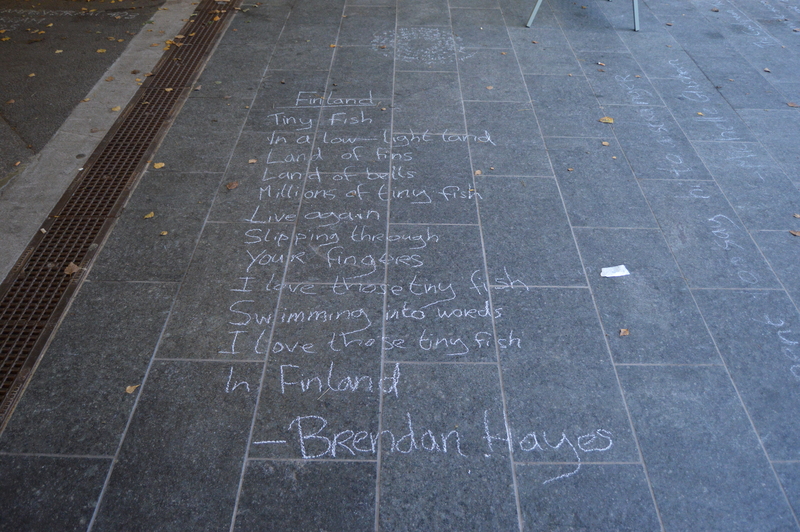 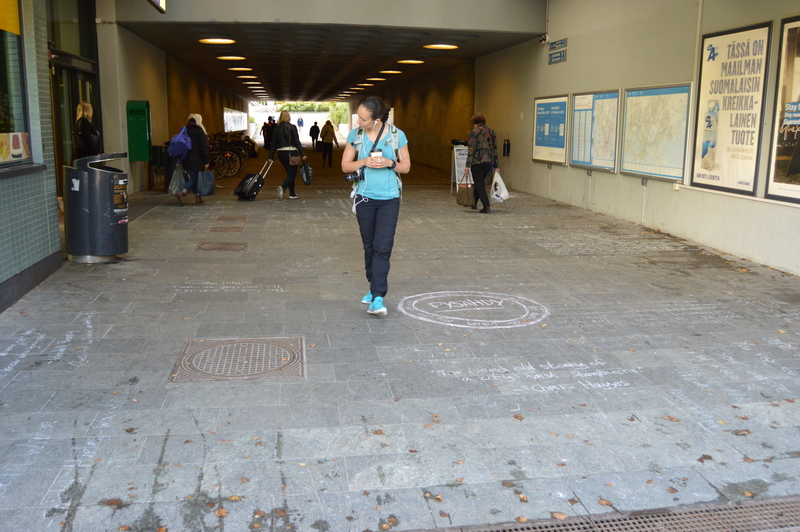 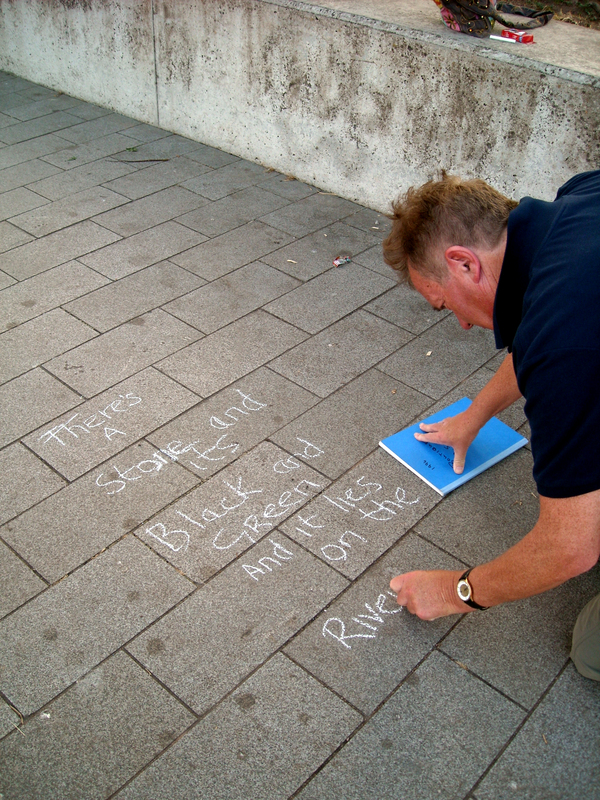 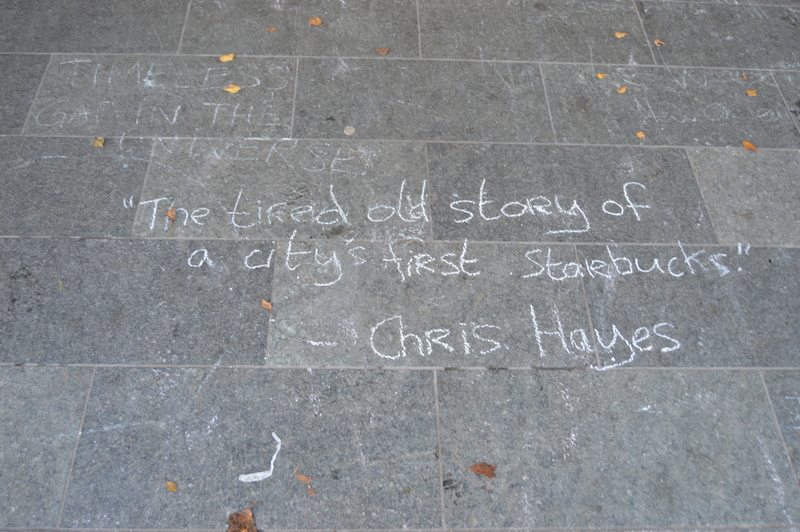 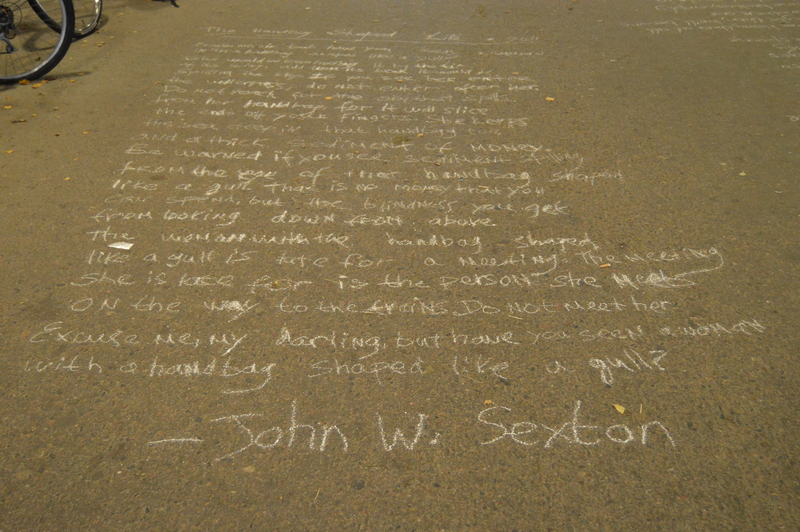 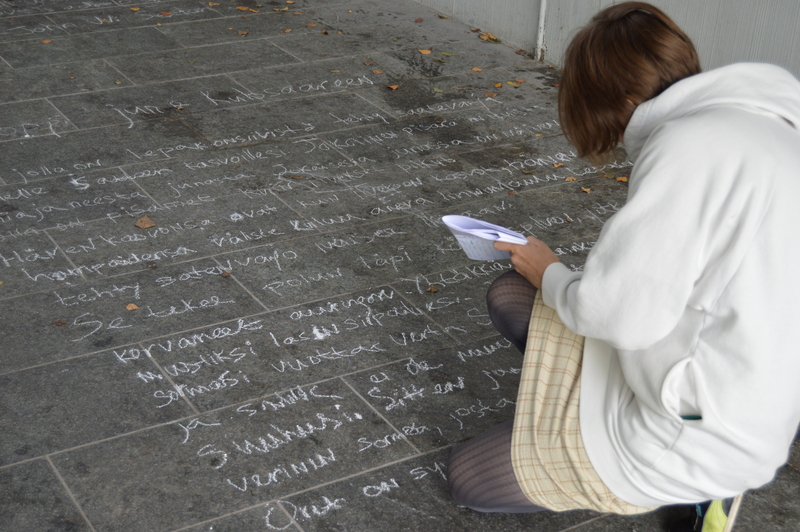 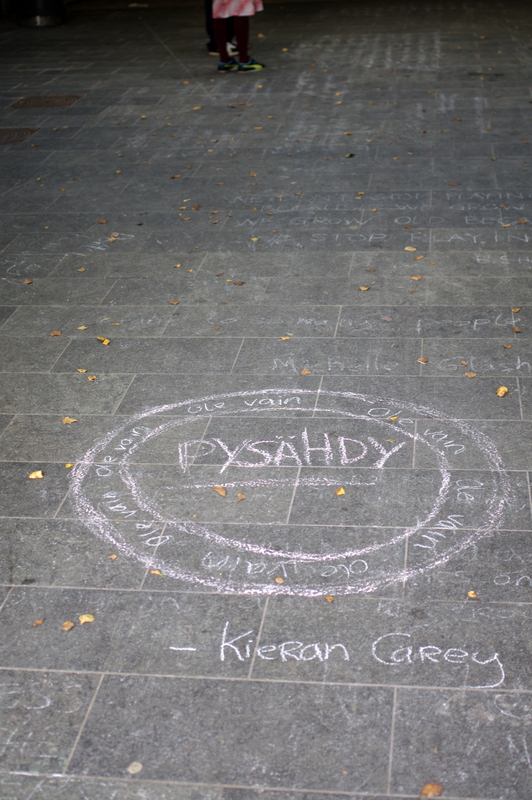 ‘Street Line Critics’ is group of writers who share their thoughts, experiences and insights about particular places and routes in Limerick city using words of chalk as our medium. 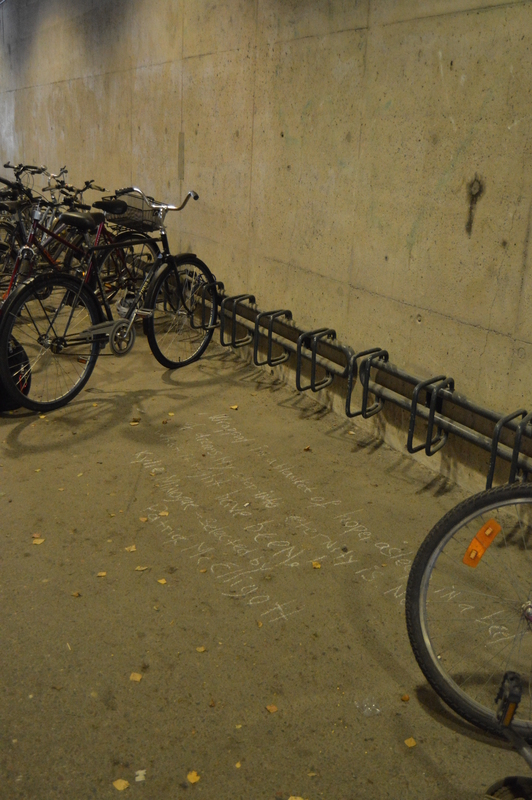 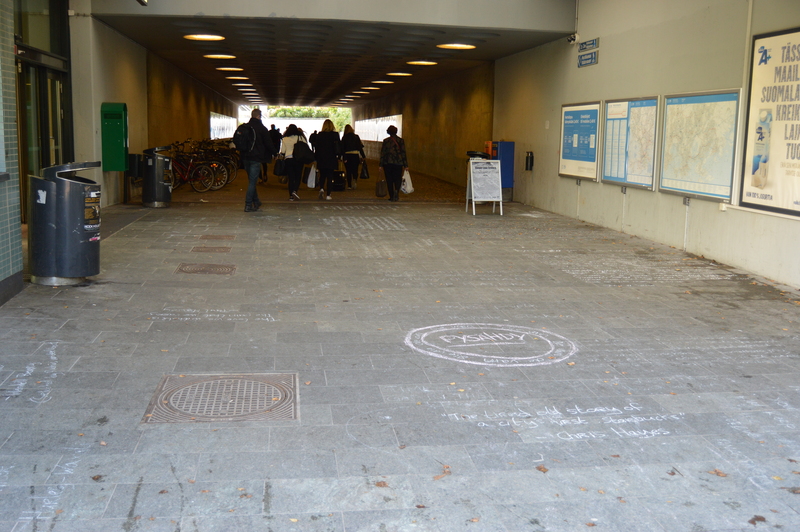 We offer alternative perspectives of how we see and use these public places. 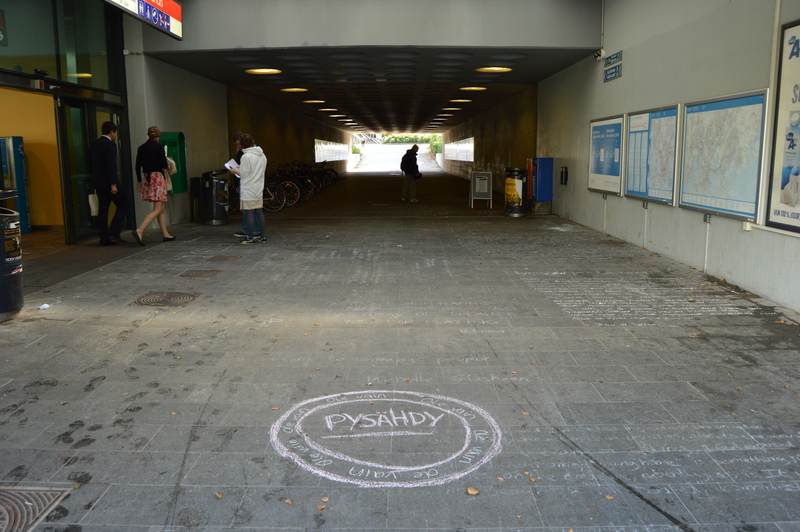 Through our musings and observations we are starting a conversation with and about the city, creating awareness of these spaces which belong to all of us. 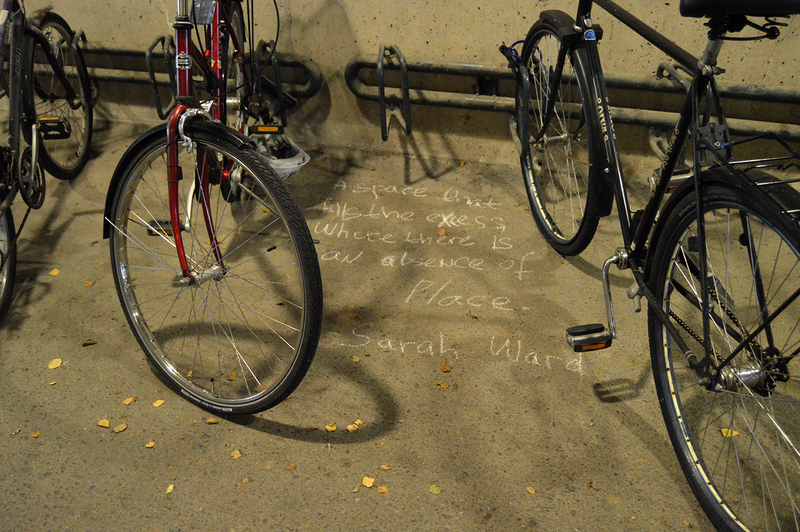 Providing impermanent monuments to the everyday. 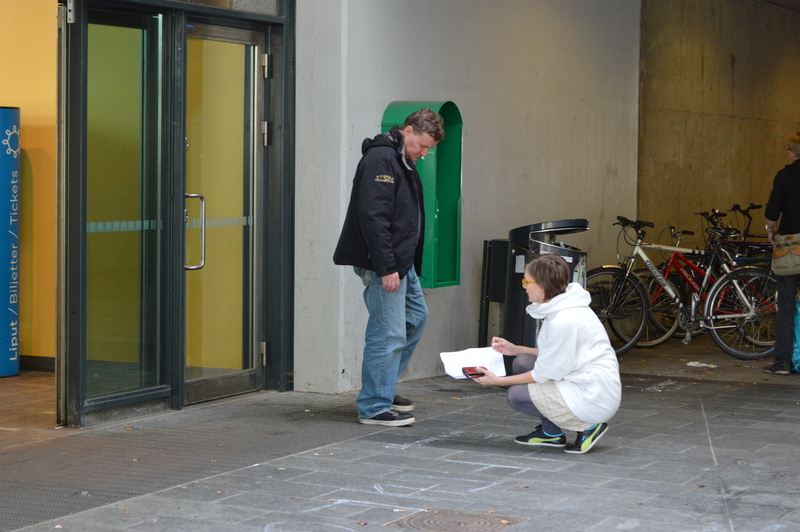 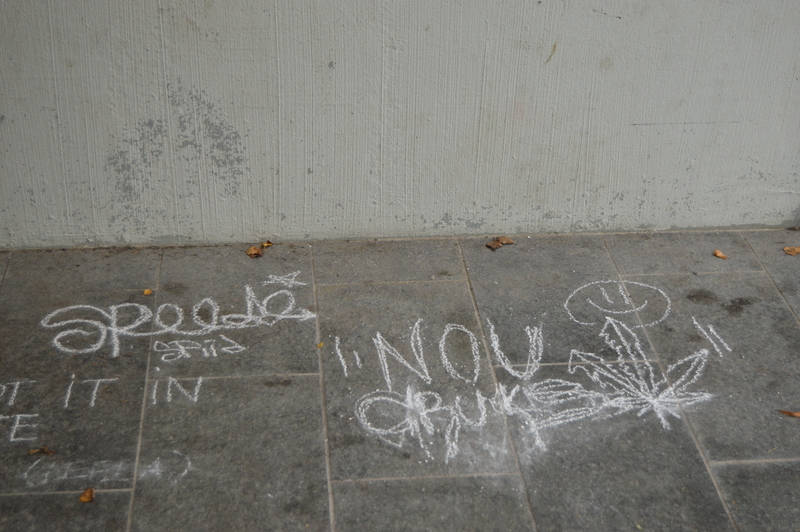 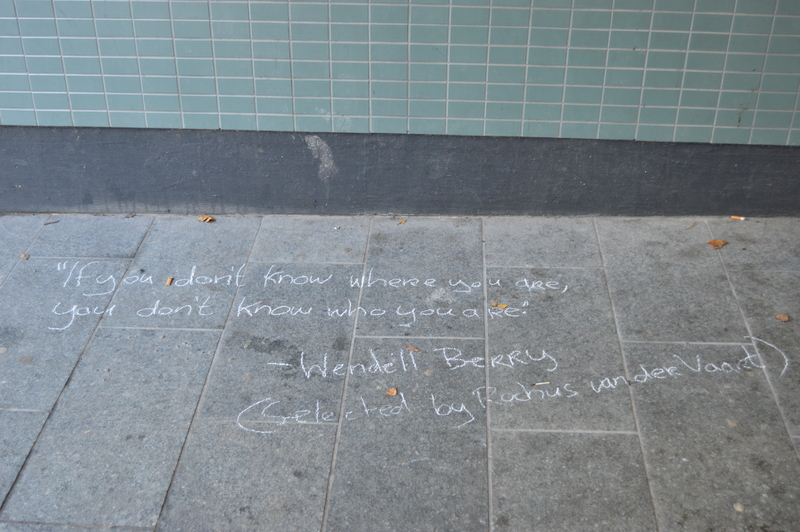 We want to share an experience of the city within a critical social context. 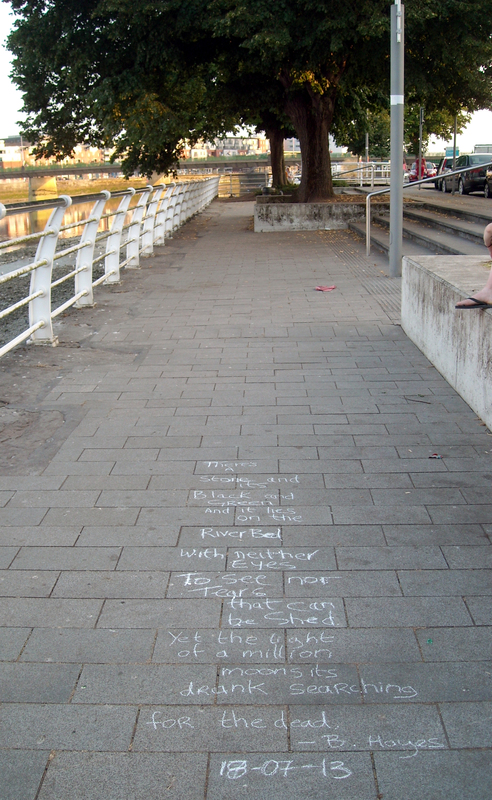 Mapping out how Limerick is lived, walked, worked and used. 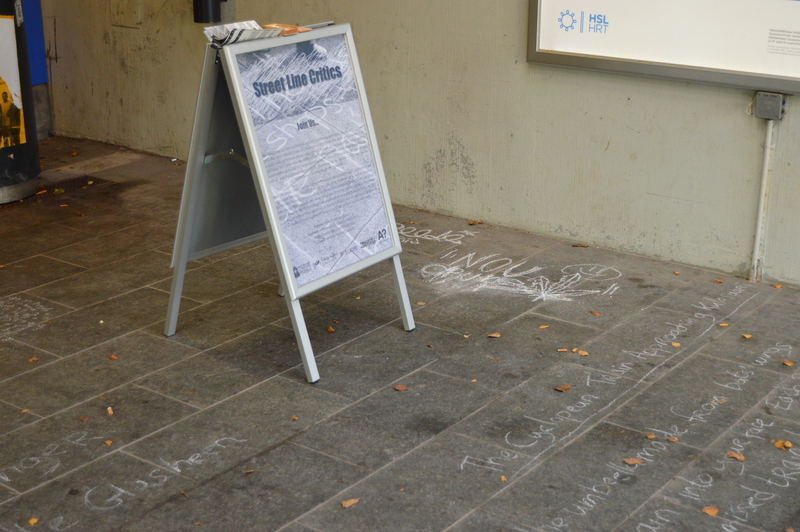 If you are a writer, poet, playwright, novelist, or any other kind of wordsmith or simply a person with an interest in words, and would like to get involved, drop us an email or contact us directly through the website contact form. 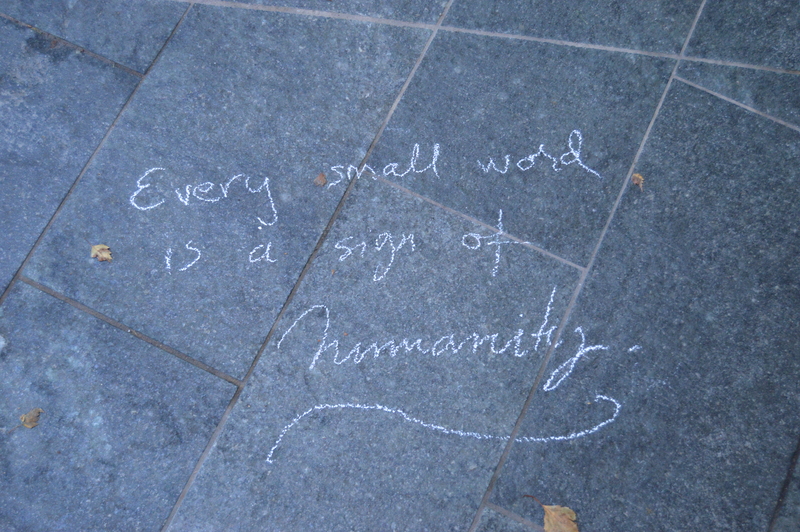 (Both to be found under the contact heading).